There is no difference in the distance for true love!!! Communicating on a dating site not long, Tim and Tamara realized that very impressed with each other, both externally and internally! Mutual agreement was meeting in Berdyansk. Tim flew in from Singapore. The first date was a live evidence of their true love. Everything was perfectly! All of us know how difficult is to stay alone for a long time and almost become disappointed in love, but these wonderful people haven’t lost the hope to find their true love like for the first time!!! Wonderful and calm man Tim met his gorgeous woman Tamara here and it was love from the first sight! Their hearts beat more and more often in anticipation of the first meeting!!! And finally came the moment of their first date, when Tim got out of the car and saw Tamara first hugged and kissed on the lips!!! Tamara was overjoyed! All the way to the hotel, he held her hand gently and looked into his eyes, full of satisfaction and expectations come true !!! Finally, we all together for the whole week!!!! - He said! 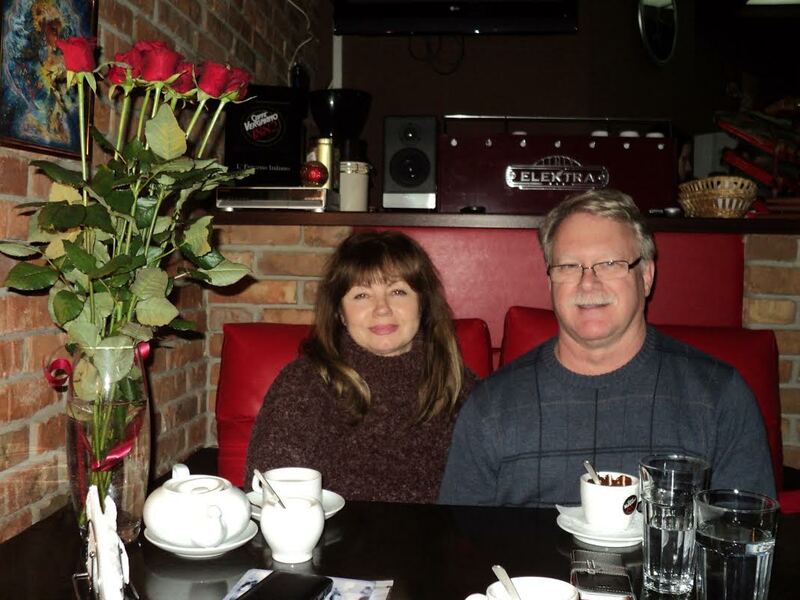 It was the most wonderful week in the life of Tim and Tamara recently, the Christmas gift, a kind! There was like for the first time between them - the first kiss, the first trip to the restaurant, a bouquet of roses and a romantic evening by candlelight! When Tim was sitting, his hand gently hugged Tamara's shoulder and they looked like a dove lovers who look not only at each other, but also to look to one side of life !!! Love for all ages - this pair proved to all that passion and love - a feeling for the two lovers of all ages !!! They have common interests and hobbies! They love animals, raising grandkids and love to grow fruits and vegetables! Like a true gentleman, Tim treated Tamara! And as a nice lady, she's a bit shy and modest, she reciprocated his courtship!!! They were nice to look at and around their bodies dominated fluids of love. They quoted poetry to each other, they wrote in honor of each other, looking into theirs eyes full of love and sympathy! Present and future mutual understanding can only be where there is all-consuming love, and Tim and Tamara - a vivid example to such relations, warm and ready to do anything for beloved!! !